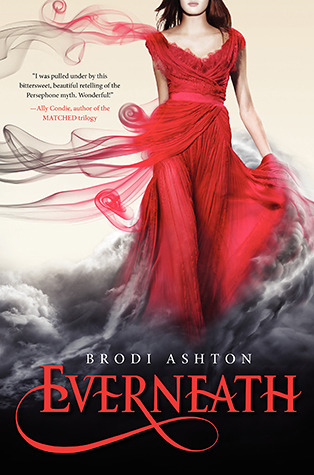 This month’s book, Everneath, comes from fellow Utah native Brodi Ashton and is the first in the Everneath series. Twilight fans rejoice! I have found a perfect novel for you. It is loaded with teenage angst, and I mean ANGST. The main character, Nikki Beckett, is in high school when her mother is tragically killed by a drunk driver. Her resulting depression, paired by the belief that her boyfriend has cheated on her, drives her into the lethal clutches of Cole, an Everliving. Every 100 years the Everliving must feed on the energies of a human host and then that host falls prey to the tunnels, a hellish place where the host is drained of all emotions until they cease to exist. The feed takes 100 years, but in the alternate space of the Everneath time works differently so only six months pass on the surface. The host can choose return to the surface for six months before the tunnels claim them, that is if they can remember any of their life before. Most don’t. Nikki is an exception. Not only does she survive the feed without aging, she remembers Jack, her boyfriend, and is compelled to return to him. She now has six months to reclaim her life before the tunnels come for her once again. Paired with Jack, she must find a way to survive, and even thrive. As I said before, this book is perfect for all those Twilight fans out there. There is a supernatural element in Cole, however instead of being a traditional vampire, Cole is what many would call a psychic vampire. He feeds on the energy and emotions of those around him. There is a troubled love triangle between Cole, Nikki, and Jack, not unlike Jacob, Edward, and Bella. There is a lot of high school drama and as a perk there are nice mythological elements and nods to the myths of Persephone and Eurydice. However, like all books, there are elements in Everneath that might drive readers crazy. Nikki is very similar to Bella, she’s very passive and has a very simple character arc. Her recurring debate is whether to go with Cole and become his queen in the Everneath and have to engage indirectly in his vampire-y ways, or to let the hellish tunnels come and eat her soul. She spends most of the book flip-flopping between the two choices, that is when she isn’t flip-flopping between Jack and Cole. Jack is the leading quarterback and football prodigy, a personal pet peeve of mine and many readers like me. Why does the romantic lead always have to be the quarterback? Stereotypes people! Another stereotype is found in the trampy cheerleader who tries to destroy Nikki and Jack’s relationship. Oh, and did I mention that Nikki is devastatingly attractive? Thankfully, she’s not also a cheerleader. I recommend this book for teenage girls who like a good angst-y story of love and loss. If that’s not you, read at your own risk. 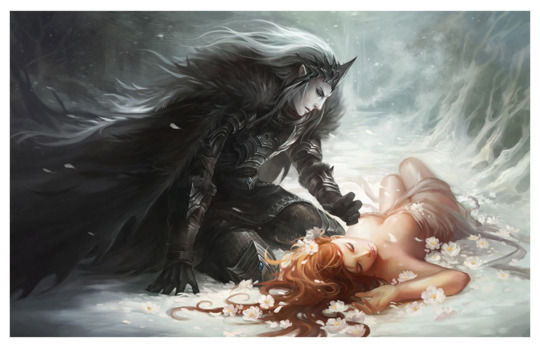 This entry was posted in Book Reviews and tagged book review, Brodi Ashton, Everneath, Orpheus and Eurydice, Persephone by Jodi. Bookmark the permalink.